Judging by last week’s obsessive media coverage of what appeared to be little more than a dinner between two friends: North Korea’s Supreme Leader, Kim Jong Un, and National Basketball Association Hall of Famer, Dennis Rodman, one is given the impression that no meeting had been of such historic significance since Franklin D. Roosevelt and Winston Churchill met with Josef Stalin back in 1945. Rodman, who was accompanying the legendary Harlem Globetrotters as they traveled to Pyongyang, North Korea for a friendly game of match-off against the North Korean team, received a warm welcome from the famous Leader and joined him in ice-skating, visiting a national aquarium, and other forms of athletic entertainment. Basketball, a sport 28-year old Kim Jong Un developed a passion and an interest in during childhood, was something both men knew a thing or two about it. This public display of bonding predictably drew the ire of U.S. war-hawks, who were indignant over the fact that Rodman, in the space of a few days, had sparked a more fruitful and meaningful dialogue with a North Korean head of State than had anyone in one of the U.S.’s multiple Intelligence Agencies during the last 60 years. One former deputy assistant Secretary of State fretted over how “scary” it was that Rodman knows more about Kim Jong Un, who is Rodman’s friend, than the CIA did! Political pundits on MSNBC attempted to demean him by calling him an “idiot”, and SB Nation columnist Matt Ufford couldn’t contain his immense hatred for either men. In his column, which was little more than a shameless display of histrionics, he opened his by referring to Rodman not as an NBA Hall-of-Famer, but as “late of Celebrity Mole, Celebrity Apprentice, Celebrity Rehab, and Dr. Drew’s Sober House [who] became the first American to meet with Kim Jong Un, the master of a nuclear weapons platform that threatens the civilized world..” But what’s most shocking about their narcissistic venomous attacks is not that they convey such outright disrespect for a Legendary Sports Icon, although some media pundits’ who’ve taken aim at the man’s owns intellectual capacity are unusually nasty and cruel, but in the way how in their nonstop vilification of him, they’ve not for one moment considered that under their logic their own country should just as easily be indicted. Mainstream American journalism, in many ways, serves as an unofficial propagator of U.S. nationalistic thought, and whatever stories are deemed worthy of coverage are predetermined to be presented in a way that supports the national agenda. What the ABC News Anchor along with the rest of the mainstream political pundits demonstrate with these kinds of exchanges is the extreme callousness with which they view citizens of the world who aren’t complacent with the U.S.’s Imperialistic aims. Stephanopoulos and other major news anchors have been well-prepped on their talking points. It’s almost as if they receive their talking-points or “marching orders” from the very same source, as evidenced by the way they uniformly attempted to shame Rodman for being friends with someone “who puts 200,000 people in prison camps” and “allows millions of his own people to starve to death.” When George Stephanopoulos spouted out this line during the same interview, Dennis Rodman uttered a brief response noting “how we [the U.S.] do the same thing here.” Stephanopoulos, with a faux sense of shock, rhetorically asked “We have prison camps in the United States? !” Unfortunately Dennis didn’t really elaborate on what he was referencing. It would have been a great opportunity to turn the tables on him by answering, “Yes, George. We do as a matter of fact.” The ignorance of these journalists is mind-boggling to say the least. Within the past two decades, concern that the United States would become the Prison Capital of the world has risen from being a concern to being the Reality. Any studious political observer is well aware of the statistical date demonstrating that United States of America, which has over 2.4 million of its people locked up in cages at this very moment, dwarfs every other nation in the world. Just because they aren’t referred to as “camps” doesn’t mean they don’t serve the same purpose. It is also highly inconceivable that a respectable journalist would fail to recognize that the United States has its very own military base at Guantanamo Bay, Cuba specifically for the purpose of holding foreign nationals without any legal justification to do so, a place where torture has occurred. The U.S.’s constant threats of attack and incessant use of sanctions through the United Nations Assembly against two nations in particular, North Korea and Iran, helps demonstrate the fallacy of this universally professed value of “human rights”, especially where political pundits are concerned. No doubt, if the United States made a declaration of war on either nation, these very same anchors who indict Kim Jong Un for human rights violations would just as quickly and easily support any and all measures taken on the people who reside in that country no matter how drastic, even if it meant dropping bombs on the very same civilians they profess to care so much about. The United States’ continuing desire for War against North Korea goes back to the Cold War era, and it is almost identical to the situation the U.S. currently is in with Iran. The U.S. claims that it all comes down to nuclear warheads and what these countries will do if they were to get ahold of one. If this seems to be a paradox, it’s because it is. Apparently the U.S. would like to reserve nuclear capabilities for itself and closest allies, Israel being one of them. The State of Israel alone likely possesses 100-300 nuclear warheads at a minimum, whereas the United States owns more than 2,000. Constant fear-mongering among the international community has placed Iran and North Korea on the defensive. For what purpose is there to solely single out North Korean and Iranian nuclear facilities if not for the purpose of drumming up support and providing justification for an all-out assault on these two nations? After all, why should the U.S., Israel and a few select European nations be allowed to possess so many nuclear warheads whereas other nations are not afforded this right? The North Korean and Iranian governments claim to want them for self-defense. It is worth considering that only one nation in the history of nuclear weapons has actually used them to attack another nation, and it wasn’t Iran or North Korea. It was the United States who detonated not one, but two nuclear atomic bombs and committed mass genocide against the people of Japan in 1945. If the U.S. feels so strongly about preventing another nuclear attack, perhaps it should begin with itself. Pessimistic though it may sound, anytime somebody in government or political office speaks about their great international concern for the “human rights” of all, it should be taken with a grain of salt. The United States and its leaders, including so-called “liberal” politicians like President Obama and recently retired Secretary of State Hillary Clinton, walk in lockstep with Israeli Prime Minister Benjamin Netanyahu and have an equally deluded interpretation of what “human rights” are. Only a profound sense of derangement can be attributed to someone who announces to the world that “Israel will not be bullied any longer” at the very moment Israel was dropping bombs on Palestinians in Gaza. But to single out Netanyahu as being the only U.S.-funded bully with a bleak human rights record would be a mistake, just as it is a mistake for the U.S. to single out Kim Jong Yu and Iranian President Mahmoud Ahmadinejad. To cite just a few recent examples, there’s the late Egyptian President Hosni Mubarak, whose brutal authoritarian regime received an average of $2 billion annually for 3 long decades before his rule came to an end; President Islam Karimov of Uzbekistan, who once boiled two of his political opponents to death; the Royal Saudi Arabian monarchial family, the House of Saud, who’ve allowed religious persecution of the Shiite minority and the mutilation of female bodies while the U.S. turned a blind eye in exchange for oil; and President Teodoro Obiang Nguema Mbasogo of Equatorial Guinea, who’s widely reported practice of torture and indefinite detention could not have escaped the notice of the Central Intelligence Agency. We’re not supposed to speak about such matters, however. The U.S. nationalists have spoken, and the only brutal regimes and dictators deemed fit to associate with are the ones beholden to U.S. oil and financial industries. The fact that America is in bed with some of the worst violators of human rights across the globe while it preaches the opposite is precisely why it was so incensing to hear George Stephanopoulos’s parting words to Dennis Rodman. In a final show of political theatrics, Stephanopoulos visibly handed Rodman a pamphlet and told him, “Next time you go [to North Korea] you should bring this report by Human Rights Watch. You might learn a lot more as well as you could press him.” Stephanopoulos should thank his lucky stars that it was someone as cool as Dennis Rodman sitting in the chair in front of him, for he could just have easily countered by referring him to several reports by Human Rights Watch documenting the United States’ method of racial criminalization, unlawful detainment, and torture of foreign nationals among other things. Prince, Richard. (2013, Mar. 7). Dennis Rodman Livens up ABC’s ‘This Week’. The Root. http://www.theroot.com/blogs/journalisms/dennis-rodman-livens-abcs-week. Moir, Matt. Sandy Hook and Netanyahu’s Victimization Philosophy. (2012, Dec. 18). The Palestine Chronicle. http://palestinechronicle.com/sandy-hook-and-netanyahus-victimization-philosophy/. Holland, Josh. (2011, Feb. 4). It Ain’t Just Mubarak – 7 of the Worst Dictators the U.S. is Backing to the Hilt. AlterNet. http://www.alternet.org/story/149805/it_ain’t_just_mubarak_–_7_of_the_u.s._is_backing_to_the_hilt. The Week Staff. (2011, Feb. 3). 5 Dictators the U.S. Still Supports. The Week. http://theweek.com/article/index/211722/5-dictators-the-us-still-supports. Elliot, Justin. (2011, Feb. 2). What Other Dictators Does the U.S. Support? Salon. http://salon.com/2011/02/02/american_allies_dictators/. * I must concede that this approach is a little naïve. It is unlikely than Kim Jong Un would should the crueler or less glamorous aspects of North Korean society to any welcomed visitor, whether they be an official diplomat or not. ** President Kennedy’s eventual move towards a world without war, slow as it may have been, would be a critical factor contributing to his downfall, as he stood in direct opposition to the interests of the military industrial complex that the previous president, Dwight D. Eisenhower, had warned about in the last speech of his presidency. For the fullest most comprehensive account on this matter, read James Douglass’s 2008 book (2010 Edition), JFK and the Unspeakable: why he died and why it matters. Glad I ran into this article. I am so sick of these warmongering people. Lack of history and of course false history does not help either. The dumb hatred of people of other nations, regardless of race or religion, is like fuel to the fire. I have traveled in Europe, lived there, lived in the far East in a Muslim country, mixed with different races and religions and never experienced any negative things. People who do most of the time create that themselves. There are good and bad people on every corner of the globe. It looks like the people in our government with their greed for power and money fail to see that. Hello Marie. Thank you so much for taking the time to read my posts and offer your thoughtful feedback and commentary! You are definately very strong in your convictions. The world needs more voices like yours! 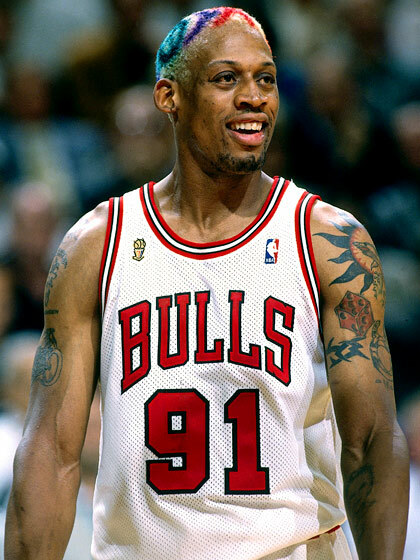 Maybe Rodman could accompany Kerry on future State Department visits and act as a mediator. We definitely could have used him when the war mongering H. Clinton was on the mic. Great analysis, its humbling to realize how little we know in America about these political leaders and the people they lead. Exactly! And what’s worse is the people whose job is to inform us don’t even know what they speak of. Almost humerous were it not so serious. And you have a great blog btw. Man…you two are about the only like-minded Homelandians left! Great write-up Caleb, thanks for stopping by the Lens as well.